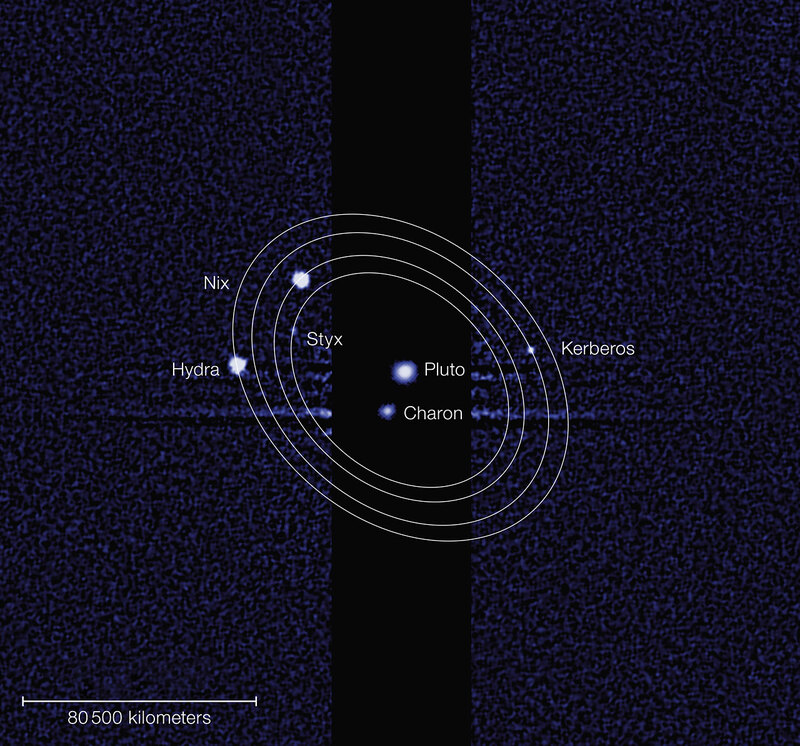 As many of you may have heard, a new moon has been discovered in the Pluto-Charon system, bringing the total up to 4 (5 if you include Charon as a satellite). Of course, that means that SpaceEngine's data on the system is now obsolete. But don't worry, this can be fixed! If you want to add it into SpaceEngine, simply paste the code below into your SolarSys.sc (or any other) planet catalog file in your data/catalogs/planets folder. Saw the news article but was too lazy to do this myself. Glad to see someone did it so thanks. I voted Acheron and Orpheus. I didn't think Vulcan was a good name for a real object. Vulcan (Latin Vulcanus, Volcanus) is a Roman god and has a prior claim for the name. So pointing to Star Trek is no better than saying leave Pluto for Disney. Since Pluto has been demoted to a dwarf planet, it and its satellites belongs to a group of bodies that may grow plentiful, so I'm pretty indifferent about the name. Eventually, the new moons might have been lucky to get a name at all. If there are many dwarf planets out there, and they have satellites, we might not bother to name them all. Yeah, but let's face it, most people that voted for Vulcan thought of Star Trek when doing so. And I honestly forgot what I voted for as I saw they weren't anywhere close to getting elected. most people that voted for Vulcan thought of Star Trek when doing so. My point exactly. And most people who voted for Cerberus did so either because of Mass Effect, or simply because it is one of the more familiar names from Greek mythology. 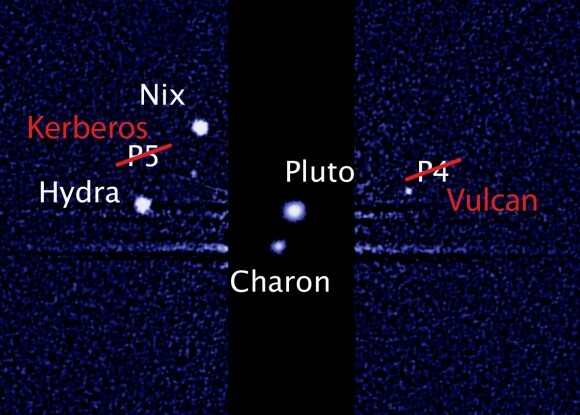 Finally, names for new Pluto's moons P4 and P5 are choosen! They now named Kerberos and Styx, thanks God not Vulcan. This is a good example shows that public voting is not perfect thing. People does not know a lot about astronomy, naming system and mythology. They just choose some popular names. I don't like the names. I believe that my choice of Chaos & Abyss would have been the best. Kerberos is too long and Styx sounds like ''stinks''. I like the names, they are easy to remember. I don't see how Kerberos is too long. People does not know a lot about astronomy, naming system and mythology. They just choose some popular names. I wouldn't say it's too long (it's not any longer than Jupiter), it's just a bit hard to say. I would have preferred the Roman "Cerberus", it's easier to say and sounds nicer IMO. I prefer Kerberos, which is more directly from the source and causes less confusion about the pronunciation. The Roman spelling gives two pronunciation options: the classical way and the "uneducated" way. The latter has as strong foothold in English, but less so in languages like German and Scandinavian, I believe, at least in educated circles.